Lest she run the risk of an imperfect eyebrow, Rihanna tests out new styles on a lookalike model, according to Hollywood’s favorite eyebrow stylist, Damone Roberts. 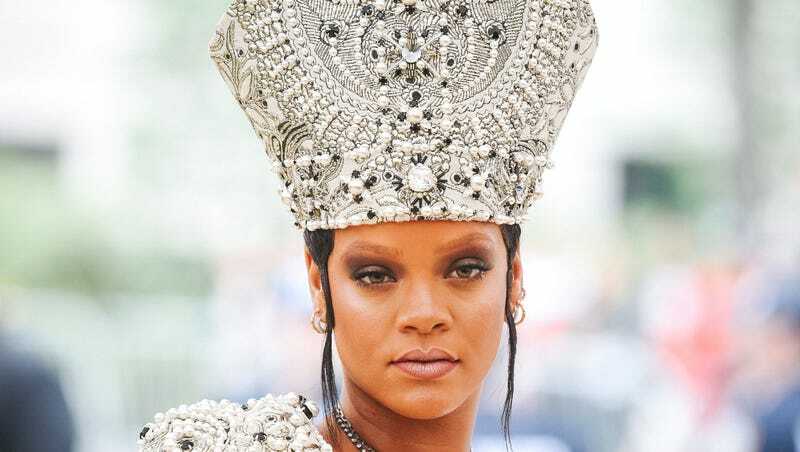 Roberts is responsible for Rihanna’s (and her brow twin’s) bleached eyebrows from 2018's Met Gala. We worked on shaping her brows for many, many years to get them really nice and full and we finally got them to the point that I don’t see her nearly as much as I would like to these days! But it’s because we really have trained them through the years to get them perfectly for her and they frame her perfectly. I’d like to hear more about this years-long eyebrow training regimen, please.